NEW YORK -- It's a wonderful time of the year to enjoy the sights and sounds of the season in an area that celebrates the holidays like no other. "A New York Holiday" is hosted by Eyewitness News Anchor Shirleen Allicot, on location at historic Bartow-Pell Manson and Museum in the Bronx, decked out in Victorian-era holiday splendor. Viewers will learn about a wide array of places to visit and shows to attend in this special season. Watch the start of our special half hour looking at the sights, sounds, tastes and special gifts of the holiday season. Watch part two of our special. Watch our special half hour with the sights, sounds, tastes and events of the holidays in New York. 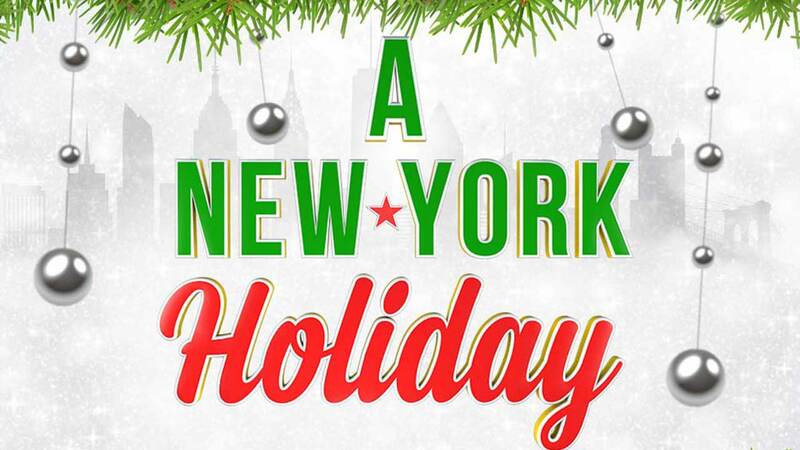 Watch the finale of our special all about the holiday season in New York. In this season of light, we visit some unique displays that are free to the public-Central Park's floating trees, Brooklyn's famous Dyker Heights neighborhood, Madison Square Park's newest art installation, "Whiteout" and "Luminaries", at Brookfield Place downtown. One of the newest trends in holiday shopping is pop-up shops- and we show you two you definitely won't want to miss- Google, showing off some of the hottest new tech gadgets and Yankee Candle, with an intoxicating interactive store just perfect for that "Instagramable moment". Of course we can't leave out the annual Holiday Markets, including a shop called "Do", specializing in raw cookie dough for an unusual treat. And you can't talk holidays without the tradition of New York Department stores and their holiday windows. We'll see what's new this year from nostalgic themes to Disney magic. We'll also check out the numerous family shows, like "Elf", "Home for the Holidays", "Big Apple Circus", "Believe in Magic", "It's a Wonderful Life", and for the adult crowd, a new comedy, "Who's Holiday". We head out to Queens to meet an ice sculptor renowned for creating amazing works of art. And in keeping with the winter theme, we visit New York's only bar made entirely of ice and a rooftop bar decked out with igloos to keep patrons warm while they socialize. And lastly, we check out "Kolache", a holiday treat originally from Czechoslovakia and now available in Brooklyn. We hope you can join us for "A New York Holiday," Saturday December 16th at 7:30 p.m.
A New York Holiday: Resources seen on our show. Bryant Park btw 5th/6th Aves., 40th/42nd Sts.